Campers need to bring field-appropriate shoes, mouth guard, water bottle and a field hockey or lacrosse stick. Please also have shoes appropriate for a gym floor. Campers will need protective eyewear. **For $100, campers may purchase a camp pack. Field hockey camp packs include stick, mouth guard, and shin guards. Lacrosse camp packs include a stick, mouth guard and a ball. Camp packs must be purchased by June 1. Protective eyewear may be purchased for $50. 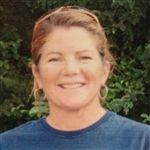 Margie Snead ‘85 graduated from William & Mary in 1989 and currently serves as Trinity’s admission director and head coach of the girls lacrosse and field hockey teams. While at William & Mary, Snead was a four-year contributor to both the soccer and lacrosse teams and finished her senior season as a team captain in both sports. She was inducted into William & Mary’s Athletic Hall of Fame. Snead was a two-time All-American lacrosse player (1988 and 1989) and earned a spot on the US National Team in 1989. She is one of 17 lacrosse players at William & Mary to earn multiple All-American honors. Staff includes top coaches and players from the Richmond area. Coaches from the US Field Hockey Futures Program and members of the local US Lacrosse chapter, college players, and former and current Trinity players will be on hand to maximize each camper’s experience.